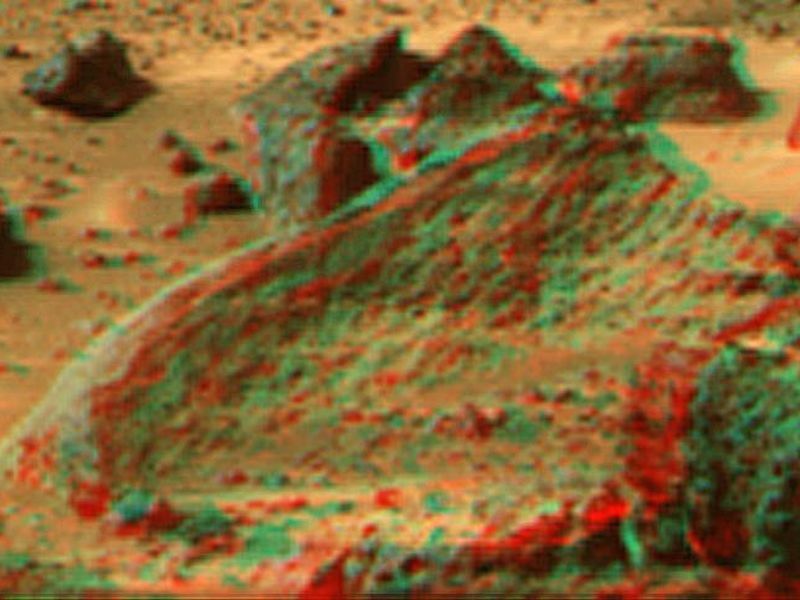 This view of the Ender, due south of the lander, was produced by combining the "Super Panorama" frames from the IMP camera. Super resolution was applied to help to address questions about the texture of this rock and what it might tell us about its mode of origin. 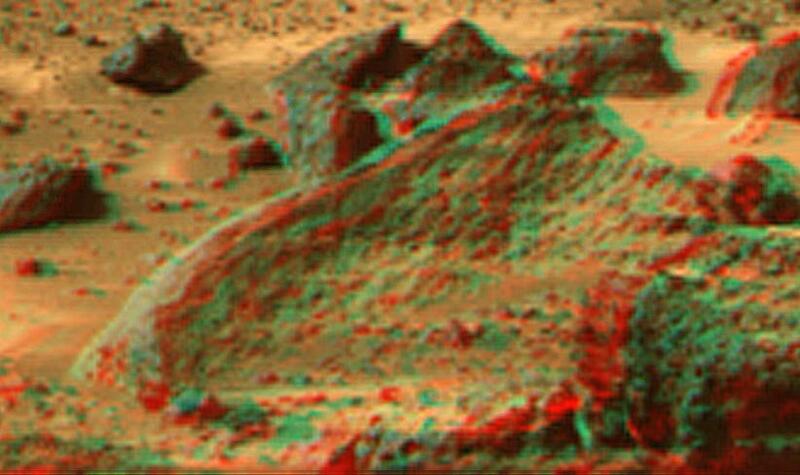 The composite color frames that make up this anaglyph were produced for both the right and left eye of the IMP. These composites consist of 7 frames in the right eye and 8 frames in the left eye, taken with different color filters that were enlarged by 500% and then co-added using Adobe Photoshop to produce, in effect, a super-resolution panchromatic frame that is sharper than an individual frame would be. 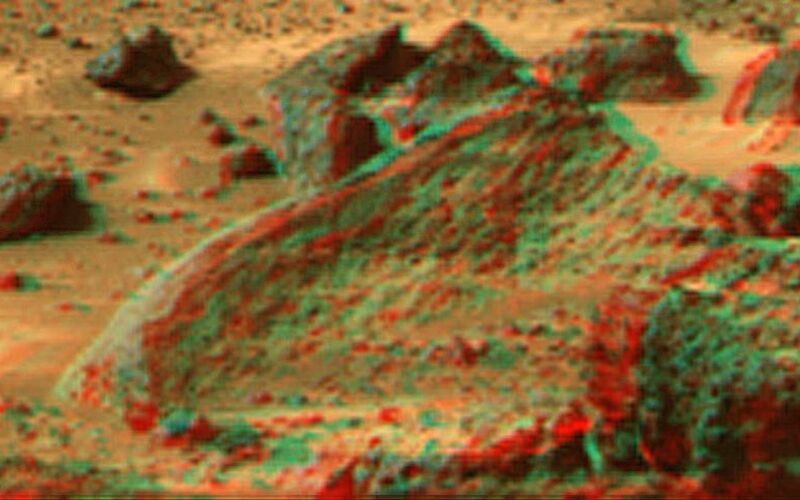 These panchromatic frames were then colorized with the red, green, and blue filtered images from the same sequence. 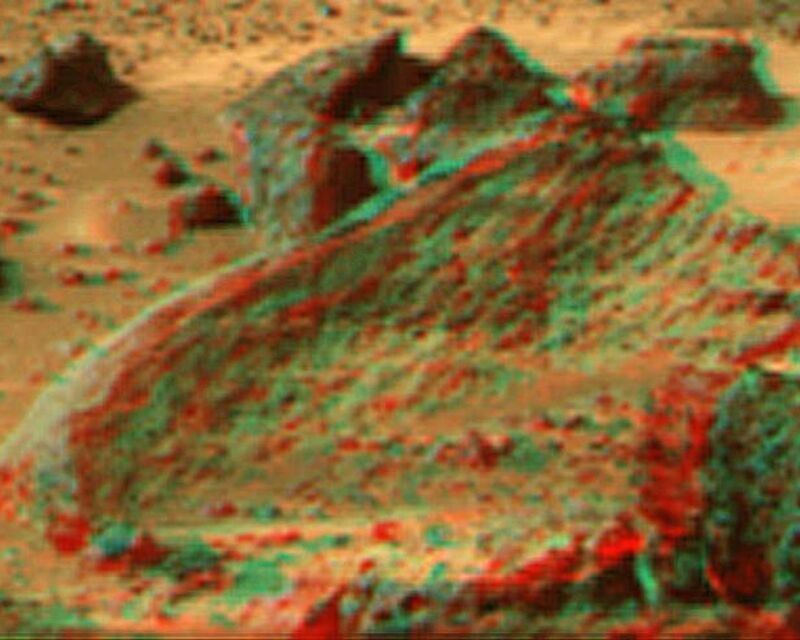 The color balance was adjusted to approximate the true color of Mars.